Owning a house new or old is expensive. Many homeowners see maintenance issues and know they should be addressed but frequently put it off. The problem is that these maintenance issues quickly become large expensive repairs. As a steward of an old house, this homeowner is being irresponsible and making a foolish financial decision. This repair now becomes expensive and can harm the integrity of the building if not repaired correctly. 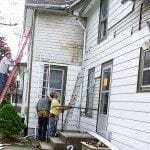 If the repair becomes un-repairable it is then referred to as demolition by neglect. 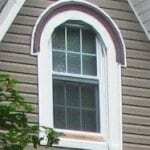 If the home is in a historic district the homeowner would be required to repair or replace the damaged feature exactly as it was. There are times that a homeowner may appeal to the historic preservation commission that due to financial reasons they cannot afford the proper repair. 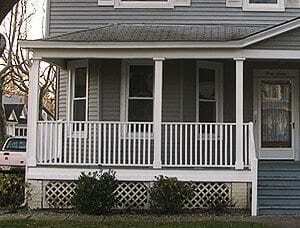 In the case of a porch balustrade, the homeowner may hope a plastic one in a similar style would be acceptable. Although a plea of financial hardship may be somewhat true, this is not fair to the house or the neighborhood and absolutely no consideration should be given. Why should other homeowners properly maintain their houses and someone pleading financial hardship get off easy? There are people that say they do not have the money for home repairs, but they do find the money for new cars and frequenting restaurants. Don’t let this happen in your neighborhood because of laziness. I doubt money is skimped on or house repairs are considered when the time comes to purchase a new television or plan a family. Don’t fall for a foolish plea of financial hardship. Different people have different priorities. 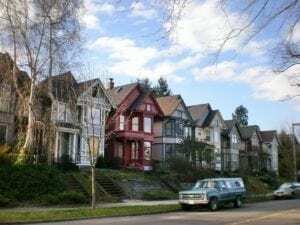 That may be well and good but their lack of responsibility to their home has a huge impact on the neighborhood and is unfair to the individual neighbor who is properly maintaining their historic home. To those of you out there that are part of HPC review boards, I’m sure you have been through this many times. Remember you are responsible for the character of a historic neighborhood and will be held accountable to the other homeowners now and in the future. Financial hardship is in the eyes of the beholder. A good historic commission should be aware of maintenance issues and notify, or if necessary, fine the homeowner before the issue becomes bigger. 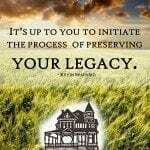 Good Morning, I sit on the city council for the City of Victor, Colorado and am constantly advocating for historical restoration and preservation. Victor is a gold mining town 6 miles South of Cripple Creek is considered one of the best preserved mining towns in the state. But that is going down hill due to apathy, low property values that draw undesirables, too many rentals with absentee landlords, and out of state property owners. We have some preservation “guidelines” but nothing that is tied to the building permitting/code process. I would like your permission to reprint some of your articles in our city newsletter to educate property owners of the value of preservation and correct restoration. 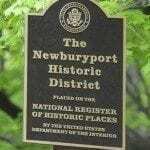 Your articles are intelligent, informative and great at setting straight the myths and misinformation regarding historic restoration and preservation. We have the same mess going on in Montgomery, Al. I wish you the best of luck.